It’s finally here! Bomb Diggity Jams – Volume 2, Summer ’08 edition. This thing took a lot of time. I started working on it a few months ago, and I actually went through my entire library to compile 300-400 songs that had a “summer” feel to it. That’s an unprecedented number of candidate-songs for any mixtape so far. I don’t know what got into me; I guess I was really excited for summer. From there, it was a process of elimination. As usual, when it got down to around 40 or so songs, I started to arrange them so they had some semblence of continuity, eliminating tracks that didn’t fit with the rest as I went along. And…voila! I finally had a nice mixtape to provide a soundtrack for summer. Put it on a CD, mp3 player, laptop, whatever. Play it at work, school, home, on the road with the windows down and speakers blasting. Let this be the soundtrack to usher in the warm rays of sunshine, the cool melt of popsicles, sandy beaches, care-free lazy days, innocent summer flings, rekindling old romances, memory-filling road trips, breathtaking sunsets, warm nights, stomach-filling barbeques…and all the rest of the delightful things summer brings. Did I tell you that I love summers? Sorry about the title, I couldn’t help it. I think it’s rather humorous. 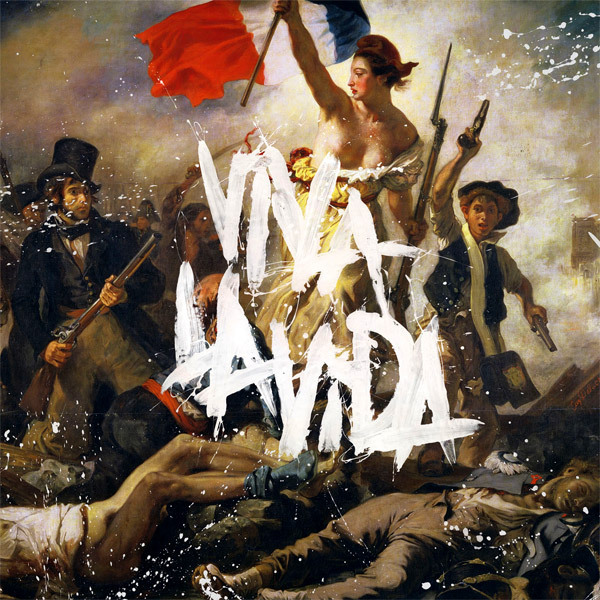 To the delight/lament of music fans everywhere, Coldplay released their 4th album this week, with the Ricky Martin-inspired title, Viva La Vida or Death and All His Friends. When they released their first single from Viva La Vida, “Violet Hill,” it was pretty obvious they were going in a different direction, much of which can be attributed to first-time Coldplay producer, Brian Eno. There was a darker tone to the music along with some added depth. And a guitar solo. I was going to be pretty excited about the album regardless, but “Violet Hill” really drove up expectations. I listened to the entire album online a few weeks ago when the band released it for streaming, so I’ve been able to enjoy it for some time already. And man…it is a great listen. All right, on with the review. This will go like the post for Radiohead’s “In Rainbows.” I’ll list the title of each track and my favorite part of each song, with a blurb of thoughts for each. Then I’ll give some wrap-up thoughts on the album as a whole afterwords. From Kristiane. Here are the rules: 1) Link back to the person who tagged you. 2) Post the rules on your blog. 3) Write six things about yourself. 4) Tag six people at the end of your post by posting links to their blog sites. 5) Let them know they’ve been tagged by leaving a comment on their site. 6) And let your tagger know when your entry is up. 1) I’m starting to get a gut. Granted, a “gut” for me isn’t much of a gut, but I could grab, pinch and pull off a good chunk of stuff…I couldn’t do this just a few months ago. I plan on starting a workout of some ab crunches. Considering it’s taken me almost a month to do this post after getting “tagged”…we’ll see when I get around to chiseling my abs.